Two years ago I was lucky enough to have a solo holiday to Florida. It’s almost a distant memory (but thankfully, not quite) and while I relished my time doing purely ‘grown-up’ things – lying on the beach sipping cocktails and admiring the Art Deco architecture at South Beach – I did put Florida on my list of fabulous US family destinations. It’s a place with the lot – incredible natural scenery, spectacular weather, fascinating cultural history and for those seeking mainstream family fun, the best theme parks on the doorstep. 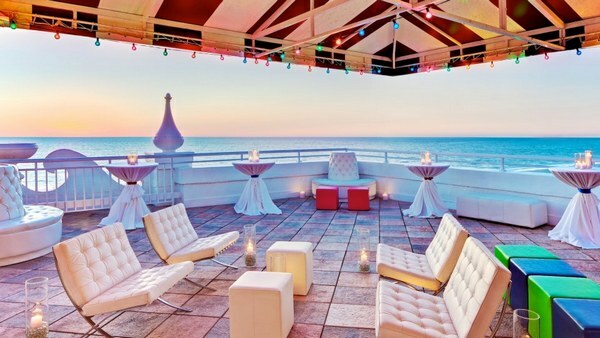 For a touch of Art Deco elegance away from the Miami scene, venture west to Don CeSar Hotel at St. Pete Beach, Florida. This stunning beach front resort is located on the ‘island’ of St. Pete Beach, on the Gulf of Mexico, a half hour drive from Florida’s capital city, Tampa. 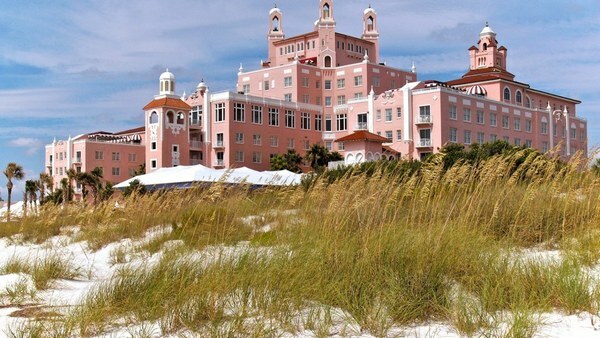 Don CeSar Hotel is part of the Loews Hotel group, although is most commonly recognised as Florida’s legendary ‘Pink Palace‘. The resort opened in 1928, renowned for its absolute beachfront location and luxury accommodation. Today, it is still favoured for those very things and is also a fantastic family destination. 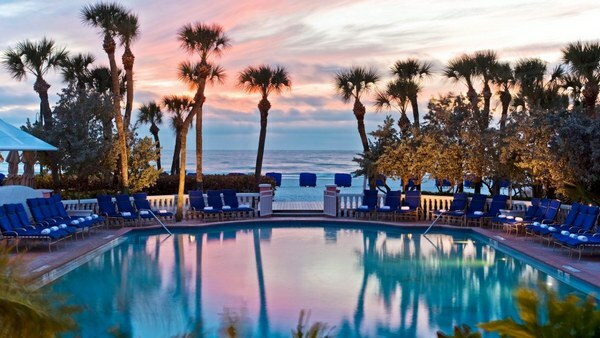 Obviously the number one activity on the family to-do list at Don CeSar Hotel is time in the water. Whether you’re enjoying the pure white sandy beach or either of the hotel’s two beachfront pools, there’s a variety of activities to indulge in from ‘dive-in’ movies in the pool, traditional water sports and organised poolside games for the kids. Happily for parents, there’s a Pool Concierge who provides you and your family with everything from chilled hand towels to frozen strawberry kabobs (Phew! Just like my first Florida experience!). Don CeSar Hotel also offers a kids club for children aged four to twelve years and a number of services that will set your hotel stay apart from others, such as a ‘kids closet’ packed with the latest Fisher-Price toys, books, car seats, strollers, baby accessories, self contained DVD players and much more. Mini-bars are stocked with child-friendly snacks, there’s children’s menus and comprehensive information about nearby tourist attractions and activities geared to children – start with the Florida Aquarium and Egmont Key State Park and don’t miss the exotic Sunken Gardens and the historic Ybor City. 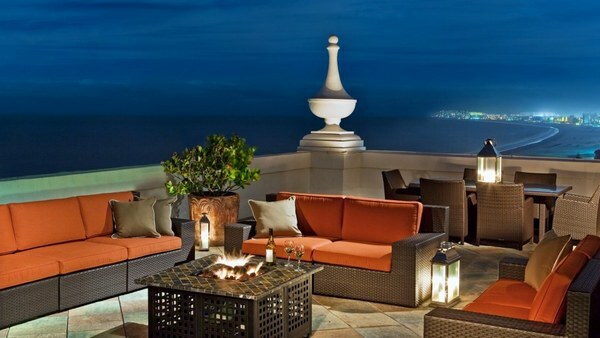 Don CeSar Hotel has over two hundred and fifty rooms including two penthouses and forty suites. A number of the suites are located a short distance from the hotel proper and provide a private, beach-side setting. 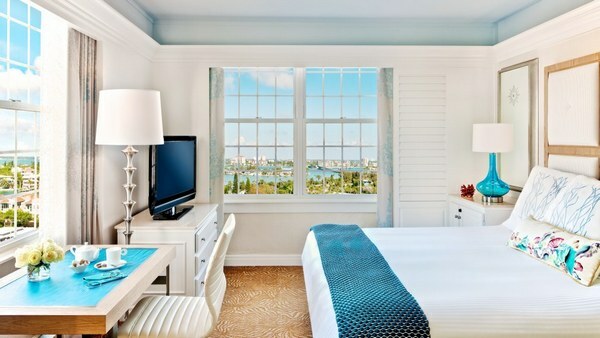 Accommodation can be booked online directly through Don CeSar Hotel. Arrange flights online through Expedia.